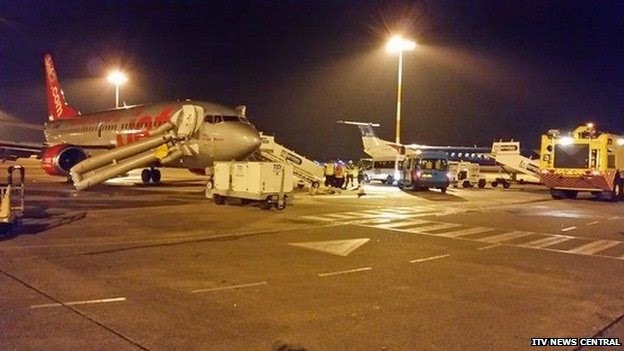 A plane has had to make an emergency landing at East Midland Airport tonight. Passengers have said that they could smell smoke as they left the plane, which had travelled from Ibiza, by the emergency exits. A Total of 3 flights diverted to other airports due to temporary closure.